International energy consultancy Xodus Group has strengthened its social performance capabilities with the appointment of a new Social Impact Specialist. Karen Nash, who will be based in the company’s London office, will be responsible for developing and enhancing social performance, including social impact assessment and management approaches, stakeholder engagement and community development and partnership. With more than 24 years of experience, Ms Nash joins Xodus from Anglo American where she led the review of all social performance issues. Throughout her career, Ms Nash has worked across the world, including Africa, Latin America, Southeast Asia and Central Europe. Ms Nash said: “I began my research career in environmental conservation and anthropology and I am now focused on addressing those areas spanning the human and natural context. I’m looking forward to engaging with this new role within Xodus, to enhance the company’s existing expertise in the area and especially in the planning and delivery of the social components of Environmental and Social Impact Assessments (ESIAs). 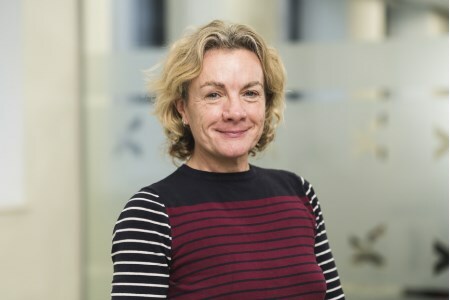 Steve Swindell, Managing Director of Xodus added: “Karen has an impressive track record of identifying and solving key social performance issues across a range of habitats. Addressing social impacts is a huge part of every energy project and as an industry, it is essential we continue to address these issues to the best of our abilities and that we continue to look for new ways of solving them effectively and efficiently. Ms Nash has a master’s degree in natural sciences and has recently completed doctoral-level studies in education for sustainable development. She is a member of the Chartered Institute of Ecology and Environmental Management and Fellow of the Royal Geographical Society.